Compared to those raised in past generations, teens today are receiving their news from modern resources in unimaginable ways. Modern news must have modern ways to reach the public. From newspapers to broadcast radio, news and how it is reported has evolved drastically. 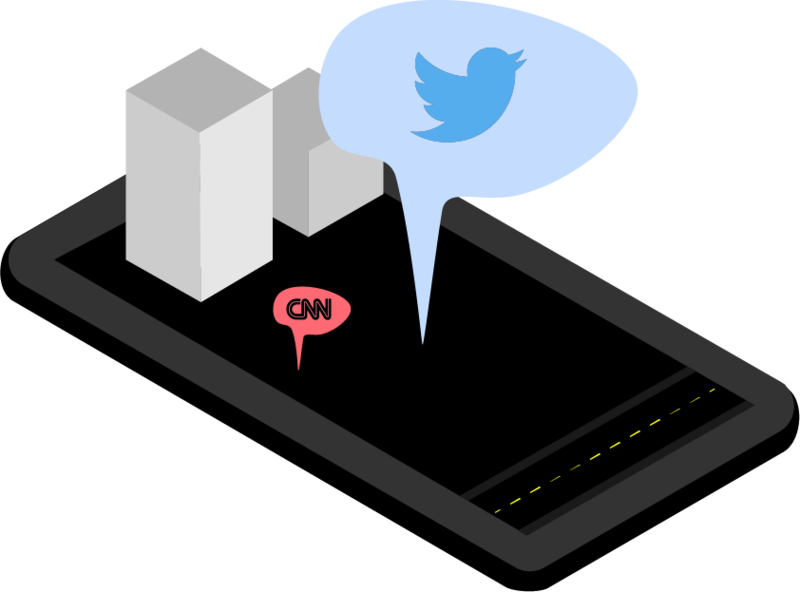 Twitter defines itself as, “what’s happening in the world and what people are talking about right now.” Many teens and young adults rely on Twitter to relay quick, informative news at the touch of a finger. With its easy to use ‘trending’ page, users can find what is currently popular in different regions and countries all around the world. Whether it is the latest Kardashian scandal or updates on the 2020 presidential election candidates, almost every topic is talked about on the platform. Important political and social figures are joining the social media bandwagon to stay more connected to their followers, resulting in a more transparent connection between a candidate and possible voters or fans and their favorite artists. About two-thirds of Americans get their news from social networks, with most households having switched entirely from physical newspapers to online resources. According to a study done by Common Sense Media, 49% of teens use social media as a way to get their news followed by a close 47% who rely on family members or peers. Twitter strives to stand for freedom of expression on all sides of every story. In a sense, every user is a reporter. Anyone can add their opinion or critique online while still following community guidelines, which can be ‘retweeted’ or commented on by others. Posts cannot be edited due to this “retweet” feature. Although Twitter does showcase many advantages such as speed and accessibility, there are some limitations to the platforms uses. Limiting the amount of characters on every post to only 240 is a problem users face on a daily when trying to tell a story completely. Which leads to another issue, accountability. The truth can be misconstrued when anyone can post anything for the public to see without it being verified. Many social platforms have added a verification tick or symbol on authentic accounts to combat this problem. Since 2006, Twitter has welcomed over 1.3 billion users and remains to be one of the most popular social media platforms in the world.